Free Shipping Included! 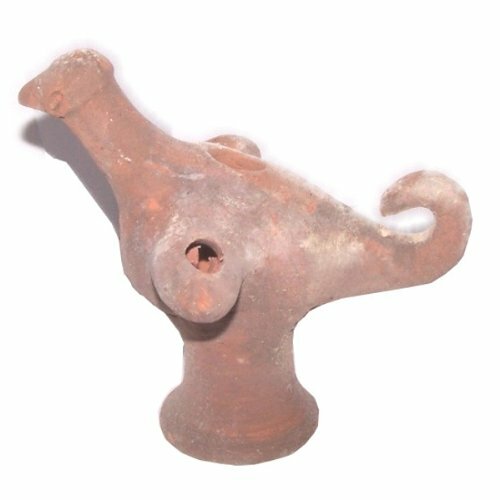 Antique big bird wick Clay Oil Lamp - 12th - 13th Century ME lamp by Holy Land Market at Wow In The Details. MPN: lamp9. Hurry! Limited time offer. Offer valid only while supplies last. Antique lamp replica. Made in a very special and dedicated way to look and FEEL like ancient lamps. The lamp comes glazed and tested for oil burning. Antique lamp replica. Made in a very special and dedicated way to look and FEEL like ancient lamps. The lamp comes glazed and tested for oil burning. Comes with special wicks.